Mount Leinster East Top is the third highest mountain in the Blackstairs Mountains area and the 183rd highest in Ireland. 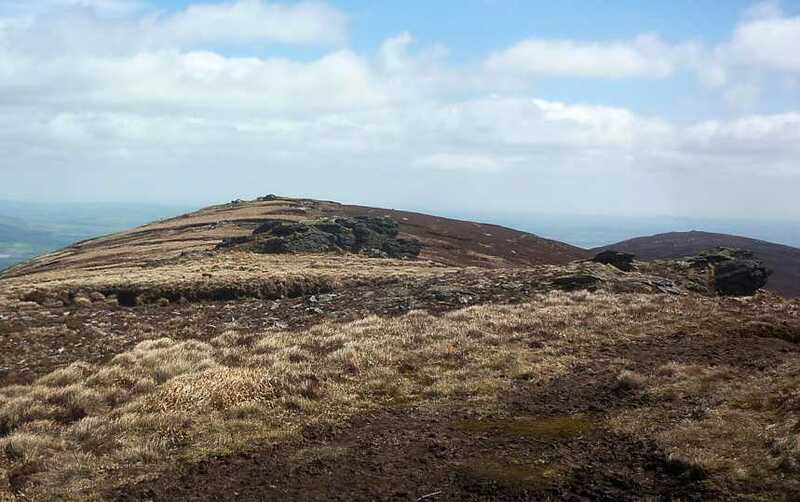 Mount Leinster East Top is the third highest point in county Wexford. Picture from group : Looking E from the shoulder of Mt. Leinster to the East Top with Black Rock Mt. beyond. Picture: Looking E from the shoulder of Mt. Leinster to the East Top with Black Rock Mt. beyond. Mount Leinster East Top is an uninspiring rise, just under 2k east of the main top. It is often confused with Black Rock Mountain, which is a further 2k east and is more defined. There are a number of ways to reach the top. The most obvious is to use the service road leading to Mount Leinster itself before heading east over the bog to the East Top. The road begins at a viewing point at a height of 400m on the South Leinster Way at S81645 54640 A, where there is parking. This route will take in the order of 2.5 hours.